Art in Hats opening soon! Oh boy are you in for a treat. This magnificent masterpiece of a hat by Alpha Auer is one of many exclusive hat designs you’ll find at the Art in Hats exhibit on June 14th, at 2pm SLT (click to enlarge pic). I was honored, as was my partner ByrneDarkly Cazalet (visit her blog Tartiste ), to be chosen as a photographer for some of the hats by visionary SL creators. This picture on my blog is just to promote the event, but you will see my original photographic pieces featuring 22769 and LODE *only* at the Art in Hats show. Please come support this amazing event with the most innovative designers and photographers in SL, you won’t regret it! 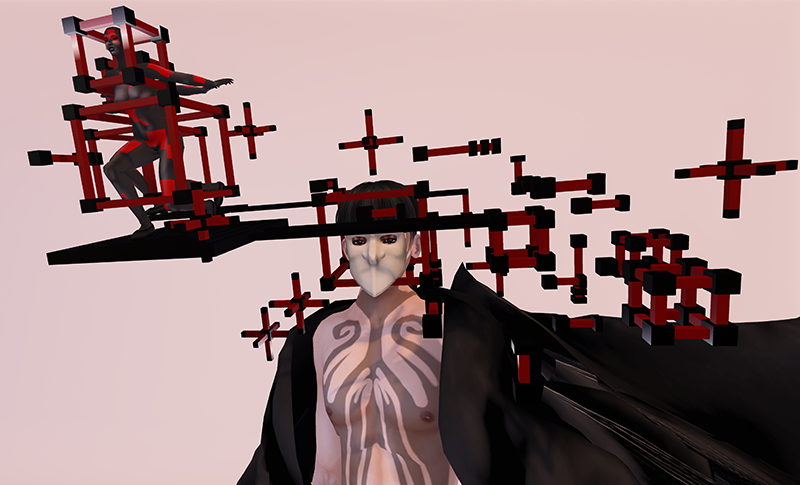 This entry was posted in Uncategorized and tagged "Art in Hats" "Alpha Tribe" "alpha.tribe" "epoque" "Fallen Gods" "S O R G O" "The Arcade", "Mesh ears", "Midnight Lotus" by Paradox Messmer. Bookmark the permalink.